I went to the beach last weekend and still feel somewhat euphoric for the experience. Not having been bought up in this country, I wasn’t attuned from an early age to the idea that swimming in icy waters and drying off on hard stones afterwards was anything but torturous. However, after a week of relentlessly depressing weather in London, a few hours spent in the sun on the beach at Lulworth Cove in Dorset was a perfect tonic. The journey from Salisbury isn’t easy but the frustrations of sitting behind a series of Saturday afternoon drivers was more than made up for by the spectacular rolling Dorset countryside. All the rain has left the patchwork fields so lush and green and the road rises and dips over the hills as you draw near the coast. It was most attractive. 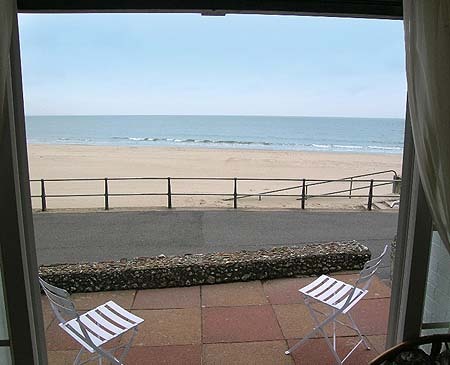 Having said that, I’m not sure that any sort of ‘road to Damascus’ feelings about the Dorset coast would stretch to forking out the £95,000 that Savills are today quoting for a beach hut at Canford Cliffs. This is often wet and cold Britain, after all. For your hard earned cash, you would be entitled to: 13’9″ x 7’5″ (4,23m x 2,28m) of brick built, semi-detached hut. Apparently, I might be alone in not being entirely seduced by this prospect. There are more expensive, similarly sized huts to be found around the world which, to me, have more appeal. £95,000 is roughly EUR 140,000 which is half the price offered to someone I know for his fisherman’s hut. The only (not inconsiderable) difference is that this hut is perched on some rocks at the foot of the Traumuntana mountains of Mallorca and your neighbour, as you sit enjoying your fresh catch for the vast expanse of the Mediterranean that stretches out in front of you, would be Michael Douglas.